In 2010 Scandicâs meeting and conference guests can enjoy the results of Jamie Oliverâs creative food philosophy. 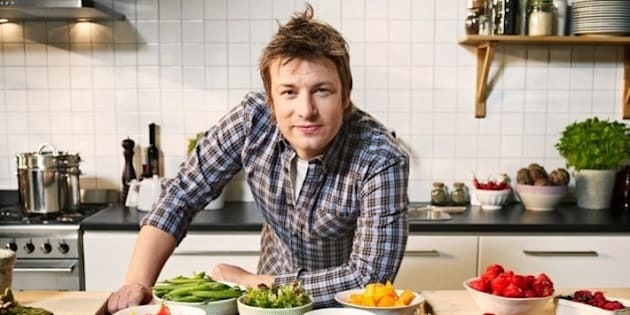 Jamie Oliver wants you to join the Food Revolution and eat less meat. During a webchat with parenting website Mumsnet, Oliver revealed he goes meatless at least three days a week. In response to a fan question on the benefits of vegetarianism, the British chef said that the experience has not only proven to be a cost saver, but it also encourages him to be more creative in the kitchen. So when another fan asked Oliver how he gets creative with meatless proteins, his answer was simple: "See how [the] Spanish and Italians cook with beans, and whether it's whole, smashed, soft, crispy, the possibilities are endless." The chef also took that opportunity to reveal that he has created a vegetarian cookbook, which he is trying to convince U.K.'s Channel 4 to turn into a TV show. Oliver says there are many benefits to a vegetarian and well-managed vegan diet. During the chat, he pointed out that in many parts of the world where vegetarian diets are high, so is life expectancy. But the Naked Chef, who is an unabashed meat lover, says people shouldn't be scared into going vegetarian. Instead, he suggests making small changes to eat better. When he does consume meat, Oliver says he looks for free range and grassfed options in smaller portions. And Oliver's lead nutritionist, Laura Parr, says going meatless at least twice a week has always been recommended by Oliver's staff, who insist even a vegan diet can be nutritionally sufficient when planned properly. Oliver is an advocate for bringing fresh food back into the kitchen and is focusing on taking these foods (and food knowledge) to schools around the world. Teaming up with famous faces like Sir Paul McCartney, Hugh Jackman and Ed Sheeran, Oliver released a new music video on his Facebook page on Thursday to inspire everyone to join his cause.